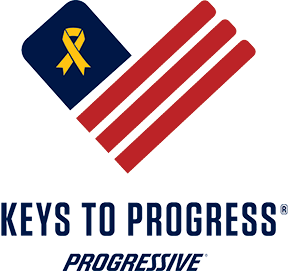 LEAWOOD, KS (November 2, 2015) – This Veterans Day, a number of our country’s veterans and their families will be driving away with refurbished cars, courtesy of Progressive® Insurance and the National Auto Body Council (NABC). On Veterans Day, November 11th, Progressive Service Centers are honoring veterans across the country in this third annual vehicle giveaway event. In association with the NABC’s Recycled Rides® program, the Progressive Group of Insurance Companies, along with several national and local partners, is donating over 130 vehicles to these heroes in appreciation of their service. This year, seven CARSTAR Auto Body Repair Experts locations in Connecticut, Illinois, New York and Ohio are participating in the giveaway. Keys to Progress is one of the single largest donations of vehicles in the history of the Recycled Rides program.